James Toole was either from or at least lived in Fayetteville, Tennessee before moving to Waco Village and settling down with a new wife, Evaline Reeves. 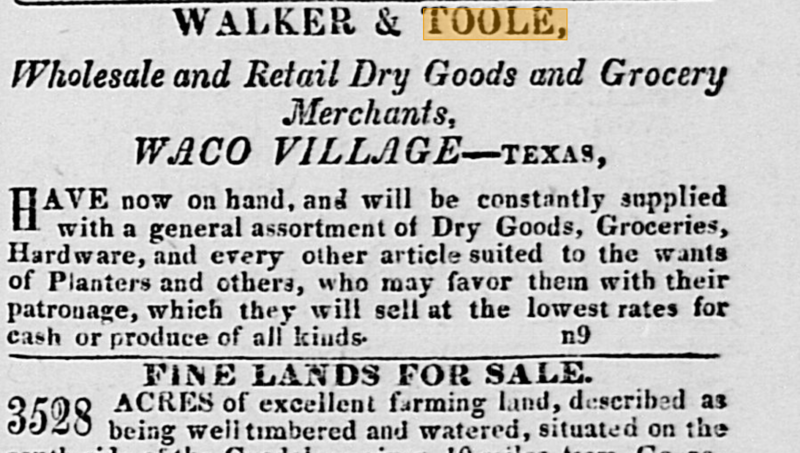 Toole was in the mercantile business with William B. Walker. Together, they furnished our first lodge room with the necessary items and provided the use of the second floor of their store on Bridge Street.